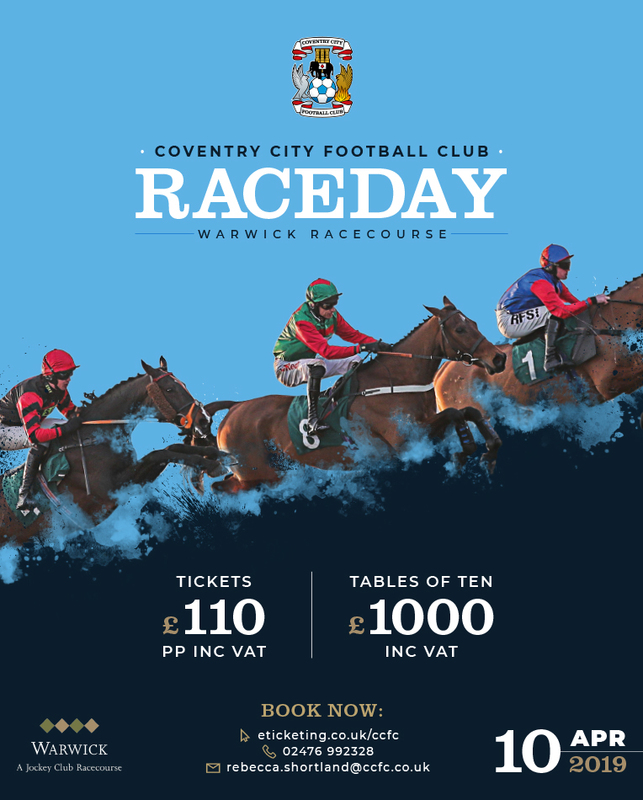 Coventry City Football Club Raceday at Warwick Racecourse, Wednesday 10th April. The WMPCC is running a business roundtable at Aston Villa on 10 April. 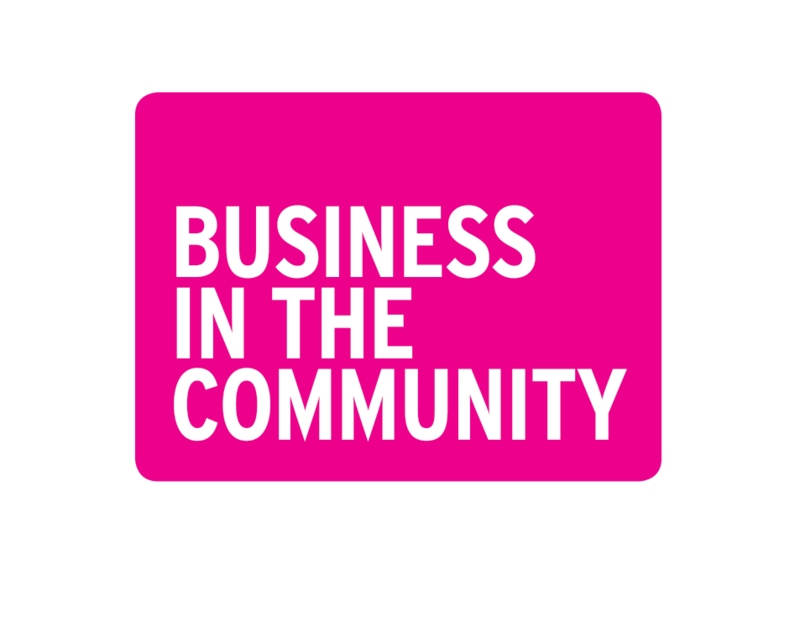 Business in the Community believes in building healthy communities with business at their heart. 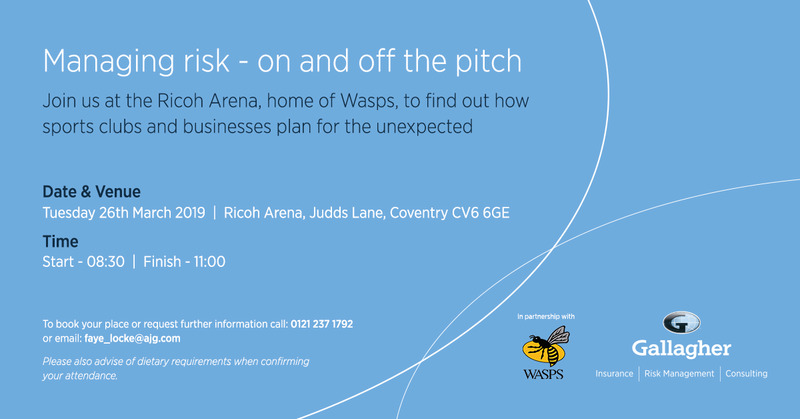 Join Gallagher at the Ricoh Arena, home of Wasps, to find out how sports clubs and businesses plan for the unexpected. 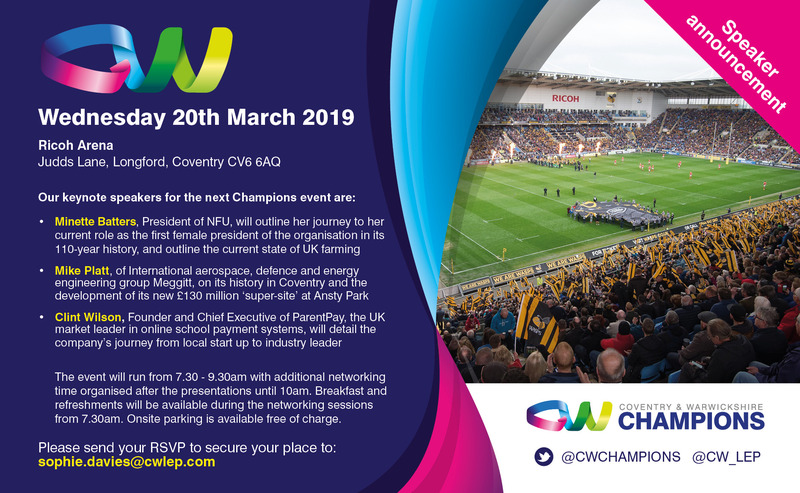 Our next Coventry and Warwickshire Champions event will take place on Wednesday, 20th March at the Ricoh Arena Business Lounge from 7:30-9:30am. 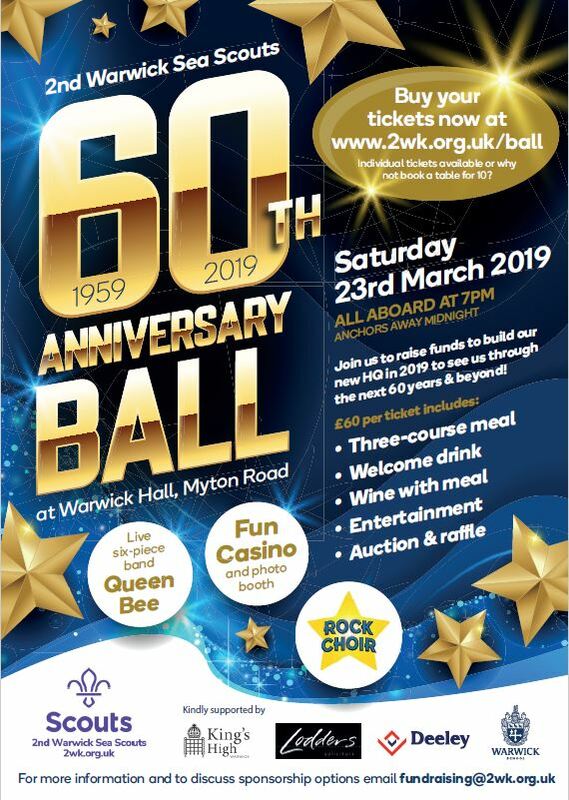 2nd Warwick Sea Scouts are hosting a fundraising ball to celebrate their 60th Anniversary! Saturday 23rd March 2019, Warwick Hall, Myton Road, 7pm until midnight. 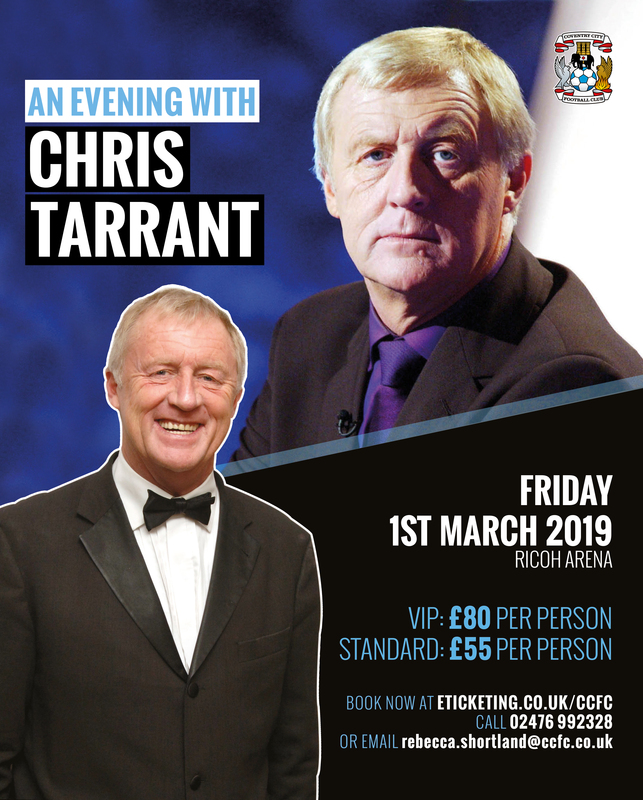 An Evening with Chris Tarrant hosted by Coventry City Football Club. Friday 1st March 2019 at the Ricoh Arena. Coventry is City of Culture. 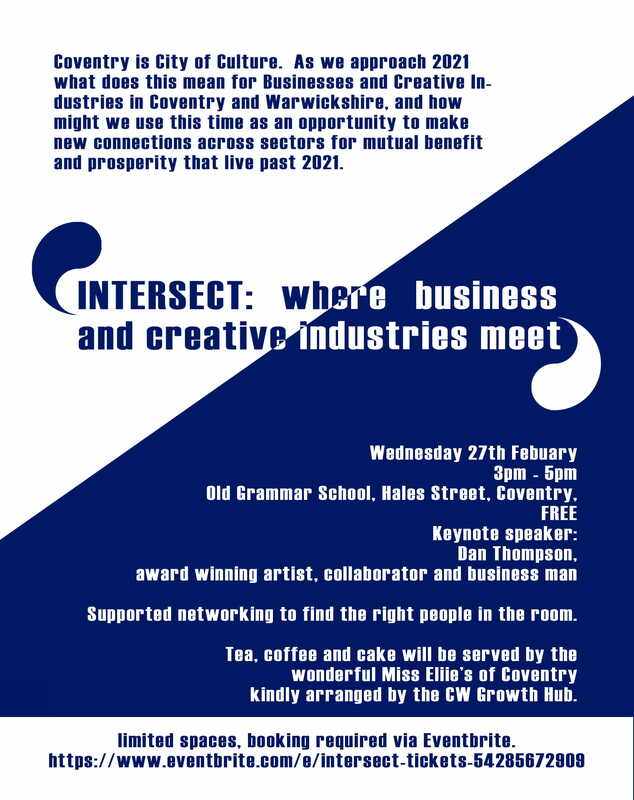 As we approach 2021 what does this mean for Businesses and Creative Industries in Coventry and Warwickshire, and how might we use this time as an opportunity to make new connections across sectors for mutual benefit and prosperity that live past 2021. The City of Coventry Freeman’s Guild has great pleasure in announcing that once again it is looking for outstanding young people to honour in its Apprentice of the Year Awards 2018. 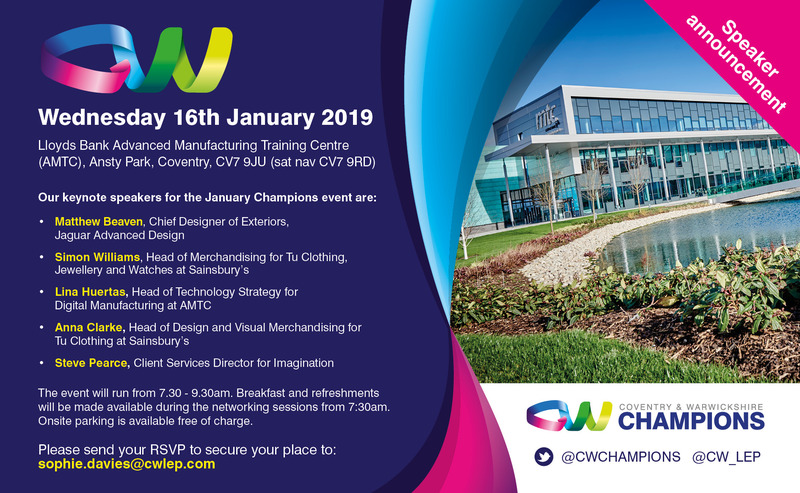 Our New Year Coventry & Warwickshire Champions event will take place on Wednesday, 16th January at The AMTC from 7.30 to 9.30am. Party in style with a fun packed evening of live entertainment provided by The Dreamettes at the Mercure Brandon Hall Hotel on Thursday, December 13.